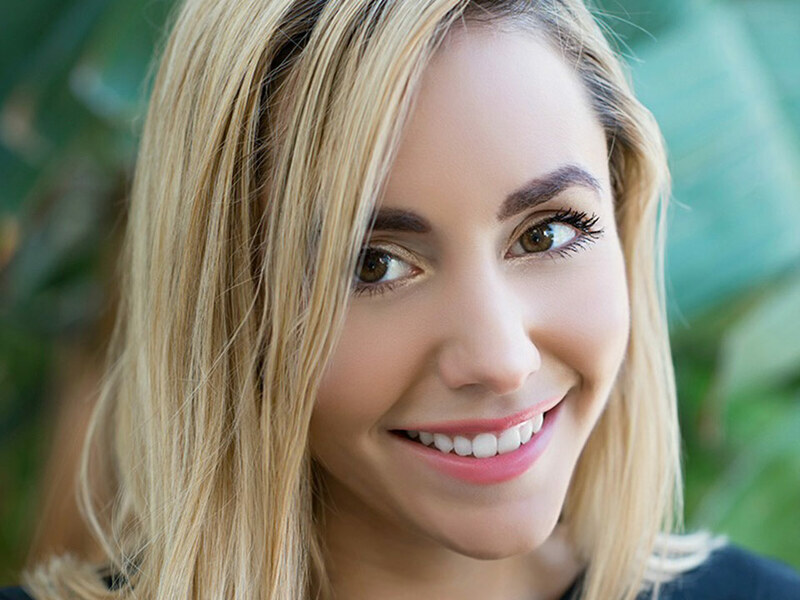 Creative and ambitiously driven from a young age, native New Yorker Melissa Pellone traded the apple for the sunshine of SoCal to pursue her dreams in Fashion. Establishing her love of design early on after attending Parsons the New School of Design as a 15 year old academy student & later becoming a graduate of FIDM at 20, Melissa applies the energetic and chic classy style from her New York roots paired with her love of California and old Hollywood glamour to create innovative ready to wear for the modern contemporary woman. After years establishing herself as an industry best selling Designer for major corporate brands such as in the dress and separates category, Melissa chose to follow her heart and create PELLONE as a way to transcend dreams of designs into the most chic and modern realities. The Push I Needed – Invited to Fashion Week as an industry guest, on a whim I decided to go at the last minute one night after work. I had a huge closet full of clothes being a Designer for so many years, but I just couldn’t find anything I loved or felt right for the event, and then I remembered I had this concept piece I had worked on and chose that. When I walked the red carpet wearing it, it caused this commotion and everyone was asking me who was the Designer?! One of the press photographers there liked the look so much they offered to shoot my concepts the following month in a really amazing location, which inspired me to sketch up the rest of the collection and make it all in time for the shoot. We did the shoot with 3 models, I published the photos along with this incredible fashion film and within a few days got a call inviting me to showcase my brand at the next Fashion Week opening for a celeb Designer. I said YES! or course, left the security of my corporate design job, and within the next few months immersed my heart and soul into the line expanding the collection to 30 individual looks, debuting my line just one season after attending the initial show. What inspired the current collection? The ultimate goal is to be the go to brand for women who love fashion and to be the show stopper wherever they go. Clothing can be very transformative, it’s an extension of personality, of creative expression, ideas and thoughts, even dreams. Where can we find you when you are not in your creative space? What fashion tips do you have for your followers? Wear what you feel good in, and embrace what you like. Be yourself! Confidence is so attractive and looks so great on you! My dream clients are those who exude the spirit of the brand, and are generally enthusiastic about fashion and style. I don’t believe in micromanagement and encourage creative freedom with my team, I like to collaboration whenever possible, so I guess I’d say my peeve would be whatever the opposite of that is! In such an ever changing world and a fast paced exciting industry you always have to keep evolving, and I love to challenge and push myself to always be learning. Which public figure do you admire and why? I definitely have a great admiration for those who pave wave for change and make a difference in other’s lives for the better. If you were to meet Anna Wintour, what would you say to her? You may have to wait until I meet her for that answer! A flashdrive, a pocket notebook and pen, a few business cards, a small wallet, lip gloss and spearmint lifesavers. What will surprise us about Melissa? The line possibly could have never come to be. A month before my debut launch and first fashion week show I was almost killed in a very bad car accident caused by a drunk driver. I think a lot of people expected me to drop out of the show and just put everything on hold, but I refused, instead focusing my energy into recovering from my injuries and not letting anything derail me from my path. What’s next for Melissa Pellone? Expanding the brand to be accessible to more women, online and in store. Creatively, I am working on my next line and a new show for Fashion Week. Where can we find the brand?